At Torrington Dental Care, our team is able to provide dental crowns in a single visit using the new E4D system. This technology offers several valuable benefits when compared with the traditional restorative process, including NO messy plaster impressions and NO uncomfortable temporary dental crowns! 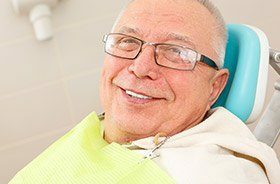 Why Choose Torrington Dental Care for E4D™ One-Visit Dental Crowns? All-digital impressions—no more messy dental putty! E4D utilizes computer-aided design (CAD) and computer-aided manufacturing (CAM) to exceed patients’ expectations. 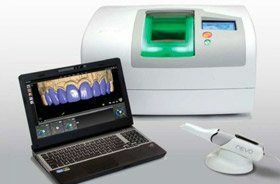 Instead of “goopy” impression materials, our team can capture an accurate model of the teeth with a hand-held scanner. This process is very fast, highly precise, and supremely comfortable. Once the digital impressions are uploaded to the computer, the state-of-the-art DentaLogicT software allows us to design a brand-new dental crown or other restoration comprehensively – all while the patient waits in the treatment chair. We can even create multiple restorations over the course of a single appointment! When the design is finished, our in-office milling unit will get to work, translating our instructions into a physical, all-ceramic restoration. Finally, we will make any last-minute adjustments to the product in order to ensure a superior fit before cementing it in place within a patient’s mouth. 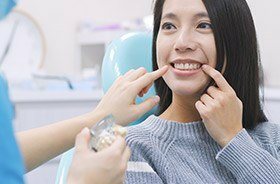 Is an E4D One-Visit Dental Restoration Right for Me? Why Choose E4D Dental Restorations? This technology results in restorative improvements that are exceptionally accurate. This leads to minimally invasive treatment and more preserved tooth structure. Patients won’t have to struggle with conventional, uncomfortable impressions or wear temporaries for weeks at a time. You can walk in with a struggling tooth and walk out with a durable, permanent improvement! Our patients can trust in CAD/CAM technology, which has been used in dentistry for over two decades now. These metal-free restorations are very comfortable, long-lasting, natural-looking, and reliably durable. If you would like to learn more about E4D and metal-free restorations, please contact our dental office in Torrington, CT.